The 2015 Ford F-150, just unveiled in Detroit, marks one more milestone in Ford's long truck-making history. We asked classic truck expert Brian M. Carlson, a contributor to Kelley Blue Book and other publications, to tell us what he thought were Ford's most significant trucks. There were a lot to choose from. You could buy a Ford truck all the way back in 1905, years before even the Model T was available. But, in those days, you would have been buying a modified car. 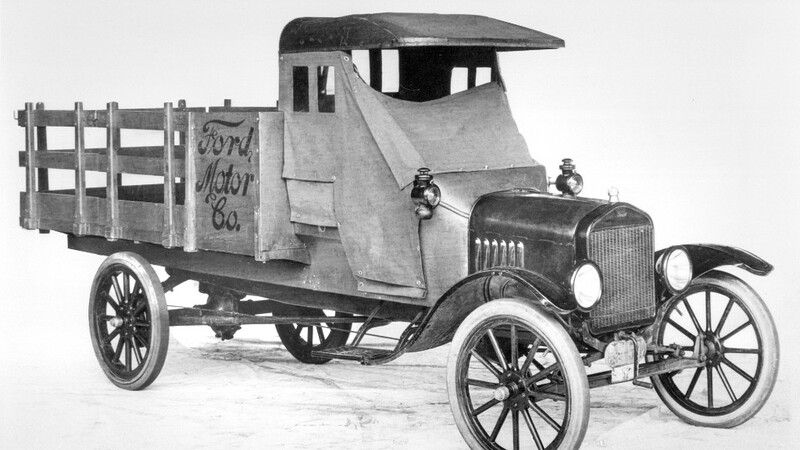 The Ford TT, which came out in 1917, was Ford's first designed-as-a-truck truck. This was no lightweight either. It had a rated cargo capacity of one ton, as much as an F-350 today.